Everyone likes a bit of magic in their lives. It can take us back to our childhood, when we perhaps watched magicians on the television or even at parties and thought to ourselves, “How did he do that?” or, “Wow, where did that coin disappear to?” It is an art and a science, but there are many words used to describe magic and words that are associated such as illusion, escapology, alchemy, cunning and conjuring to name a few. 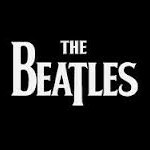 It is also used as an adjective to describe something special for example: magic number, place or music, the title of which has been used for ‘albums’ and also for movies with many films made using the word in the title. The group of professional illusionists and magicians is referred to as the ‘magic circle’ where the secrets of many tricks are held tight, to be shared only amongst a selected few. Below is a list of online stores and shops which will be useful to performers, magicians, illusionists, children and enthusiasts of the subject since they all sell fascinating products and tricks connected to the world of magic. 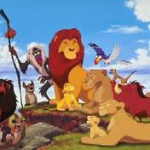 Penguinmagic.com has twelve tricks that you can learn for free. Simply enter your email address and they will send you a free DVD. A list of professional magicians is given with an array of tricks, book, videos and DVD’s on offer. There are pranks and gags, stand-up and street magic to choose from with the best sellers and most popular items highlighted. Shipment of goods can be made in 24 hours and the discussions in the blog will definitely give insight into some of the secrets. Dreamland Magic has a vast array of tricks on offer in the store with levitation, coin tricks, novelty items and fire tricks to choose from to name a few. There is a special section for card tricks along with floating cards and articles can be read about street and new magic with books and DVDs available. Sets are a special feature and free shipping is offered on purchases over $20, but only in the U.S.A.
Browse amongst the many tricks on the site with video demonstrations and tutorials available revealing secrets. You can get 5 videos, an eBook and articles for free after registration and products can be chosen from categories including street, coin, cards, bar and ‘flair’ with the most popular goods being advertised. The site is looking for affiliates, so you earn a bit of extra cash. 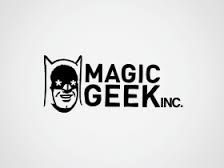 Magic Geek advertises all the latest tricks and gimmicks available on the market with the top deals and best sellers advertised. Signing-up for the newsletter is encouraged and lots of goodies are offered in money and card tricks, stage and street magic, sets, books, DVDs and juggling with a special section dedicated to ‘mentalism’ and fire. There is also a large range of accessories with rewards given to loyal customers. 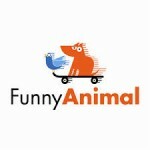 This site has an array of jokes, pranks and gags on offer with a long list of categories to choose from. Selections can be made from DVDs, books, accessories, kits and sets with special sections on close-up, stage and mentalism magic. Special offers and sale items are advertised with many items on clearance offer. You can hire a magician for a party as well as join the secret magicians club for free. 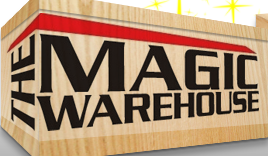 Magic Warehouse sells tricks, books, DVDs, torches for juggling, gags, ropes, balloons and much more, whether you are a beginner, amateur or a professional. 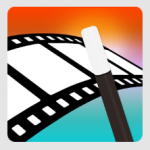 There are tricks demonstrated on videos and links leading to other related sites. The tricks available are cards, close-up, coins, dove, escapes, fire, sets and mentalism. Signing-up to the site is encouraged to receive all the latest news updates. 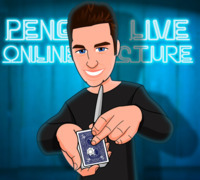 Magichutonline.com has sections for tricks, pranks and downloads offering goods ranging from cards, coins, DVDs, books, mentalism, kits and accessories. There are novelty sweets, stickers, insects, squirters and exploding items available for pulling pranks and playing jokes. Many products are featured and there is a newsletter available for receiving news on the latest editions to the shop. Free shipping is offered with purchases over $40 and a free wand is given with every purchase. Magictricks.co.uk is one of the leading online magic shops in Europe offering many exclusive items. Magic can be chosen from cards, money, mentalism and close-up with special sections for beginners and accessories. Gifts can be selected for children as well as adults with special offers and collectable items being highlighted. Video demonstrations and podcasts demonstrate the top selling products and help is available for searching and for buying. This is another great shop from the U.K. offering free gifts with subscription as well as the latest news in the world of magic. There are reviews and video demonstrations to watch with the latest and most popular goods advertised. Books, DVDs, tricks, jokes, sets and accessories are on offer with instant downloads available in the beginners and hypnosis sections. A special ‘tab’ advertises entertainers and magicians available for parties with full details being provided for ordering and delivery on all services. Live help is available at all times and the site also offers products wholesale.